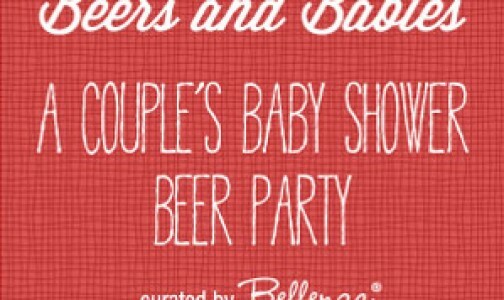 The play on baby bottles and beer mugs is such fun in these invites we found. A clever come-on for this “A Baby is Brewing” baby shower! Luckily, there are oodles of ready-made party decor elements with a beer motif. 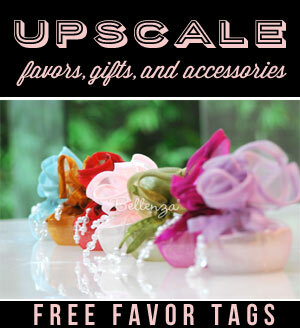 So you can simply buy online or from your favorite party supply store. Or you can DIY many of the decorations, if you wish! Announce the theme at the party with a “A Baby is Brewing” gold glitter banner garland (1) hanging at the entryway. On the guest tables, place creative DIY centerpieces like these, using fresh or faux flowers arranged in traditional Oktoberfest beer “growlers” (2) or beer mug cutouts (that are actually photo booth props) standing in glass steins (5). 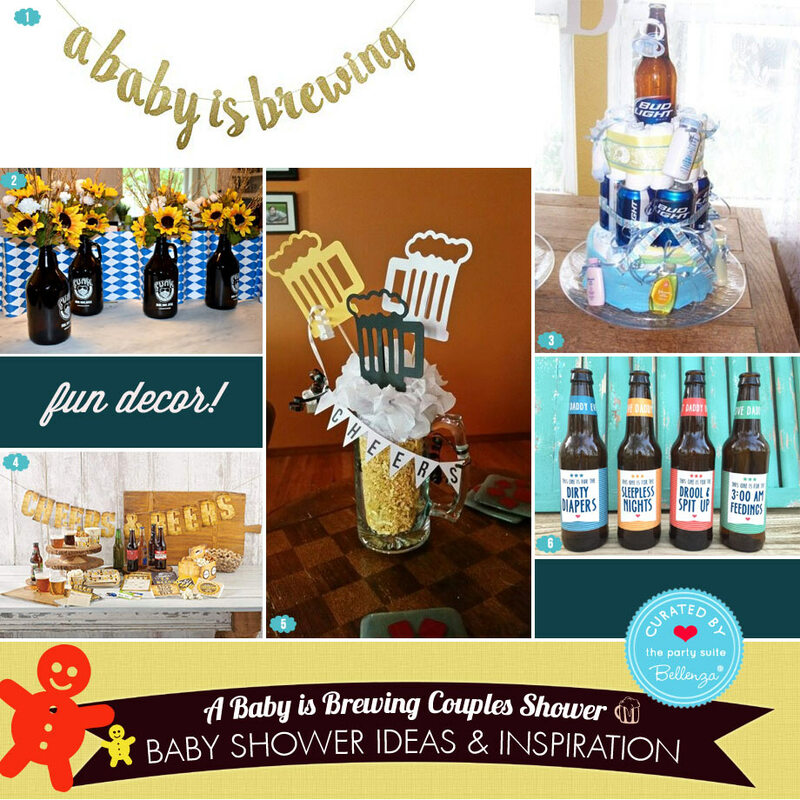 Keep up the playful mood with his and hers baby shower diaper cakes (3), incorporating beer bottles and cans among the infant supplies. Then, plan party activities for both the guys and gals, like a “Beer Chugging Game” that uses bottle labels (6) that warn of the baby care challenges ahead! Finally, what’s beer without some munchies, right? Set up a snack station with a “Cheers and Beers” banner, paired with a matching beer-patterned plastic tablecover (4) and other coordinated partyware. 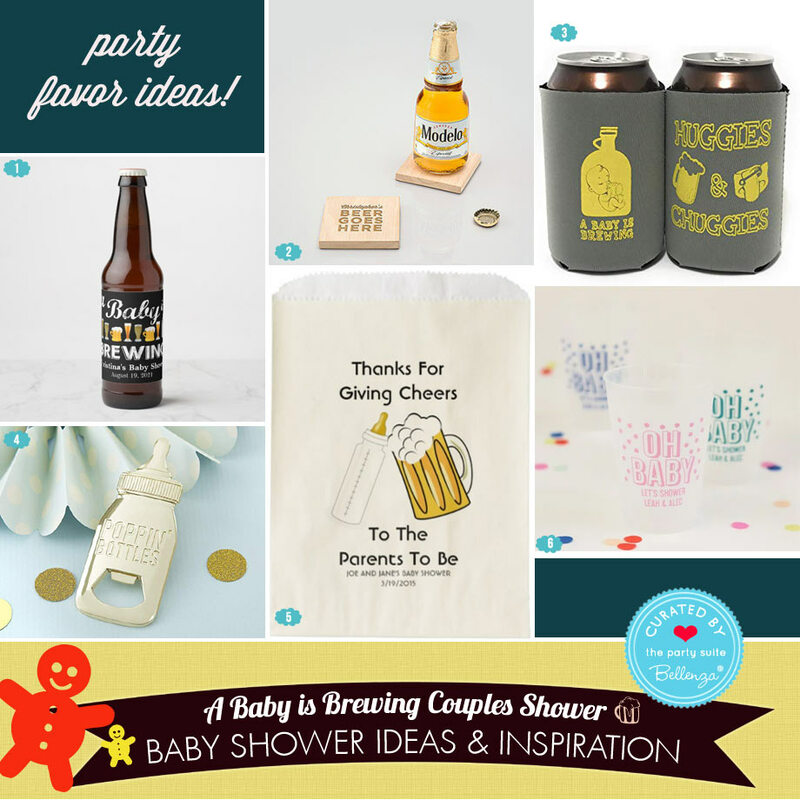 The fun just keeps on coming with this co-ed baby shower theme—this time with these cool and cute beer-themed favor ideas we found! 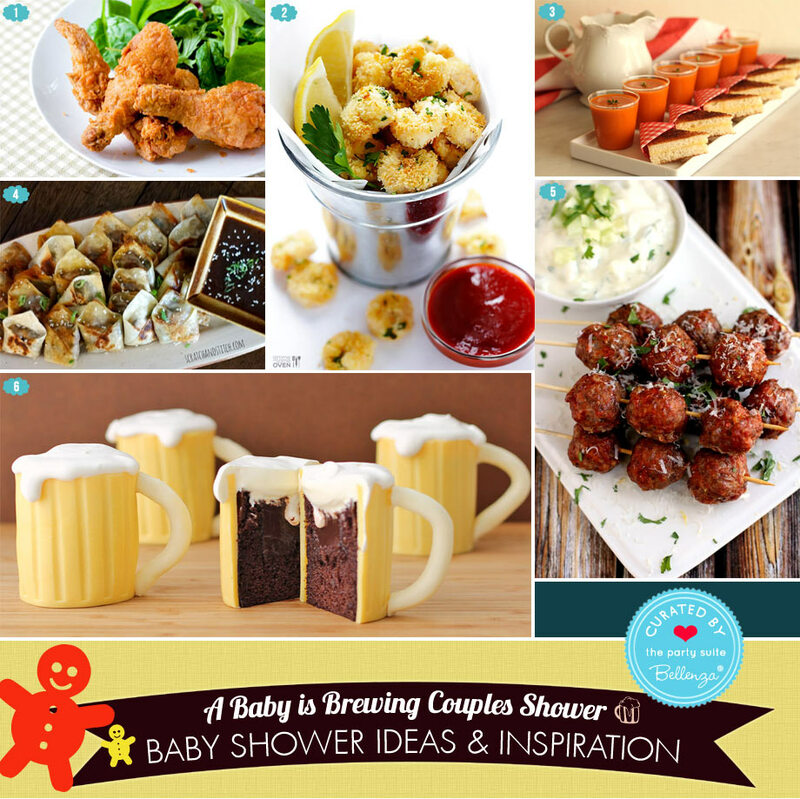 Baby Shower Food Ideas that Go with Beer! 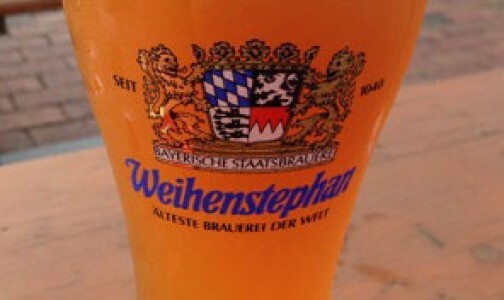 As guests arrive and start to mingle, let them help themselves to snack stations offering “beer partner” staples. 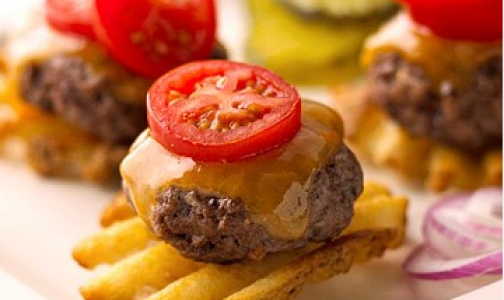 Sure hits would be a Pretzel Bar, a Potato Chip Bar, a Popcorn Bar, or a Nacho and Dips Bar. Then, for a beer-friendly party menu, set out a selection of comfort food—like soup and sandwiches—in single-serve or bite-size pieces. That way, everyone can make their own choices and keep coming back for more! 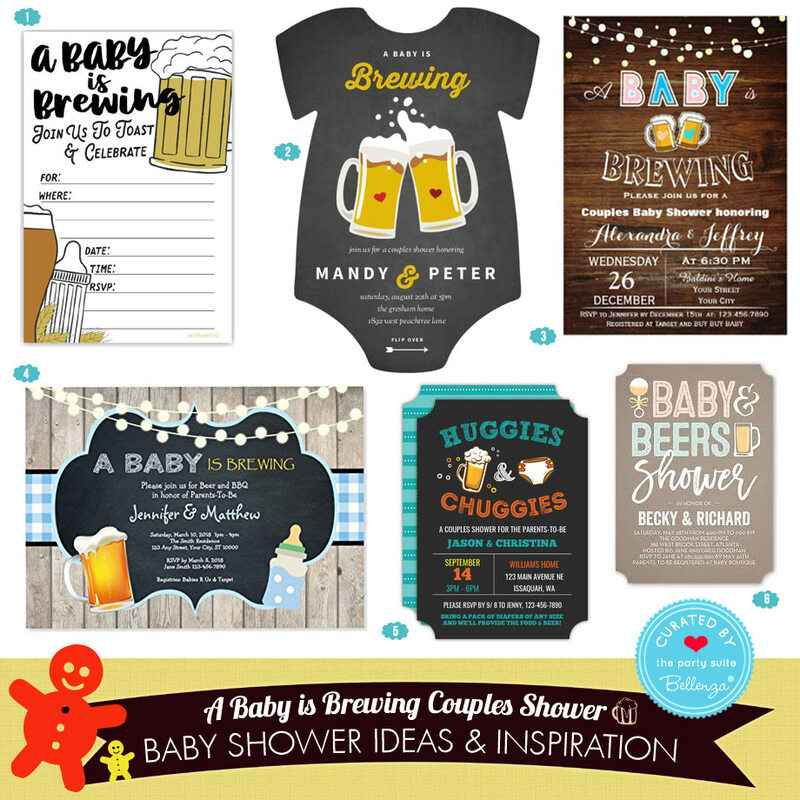 With a “baby + beer” theme like this one, your co-ed baby shower is sure to be one memorable bash!